Hi!!! Long time no post! Last week was exam week, so things got pretty tight. But vacation started Tuesday….. time to get back on track! Winter holiday also means that my friends who’ve graduated come back to visit. Yesterday, my good friend Amy, who’s currently a freshman at Northwestern, had time to hang out, so I decided to take her to dinner so we could catch up. 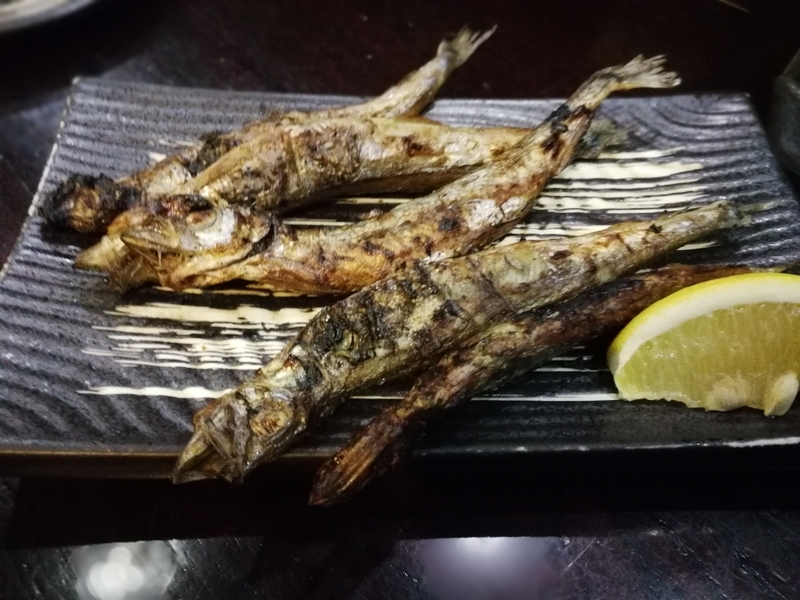 What better place than….. Torikin! One bite Tofu- The owner highly recommended this dish the last time I came, so I decided to give it a try. 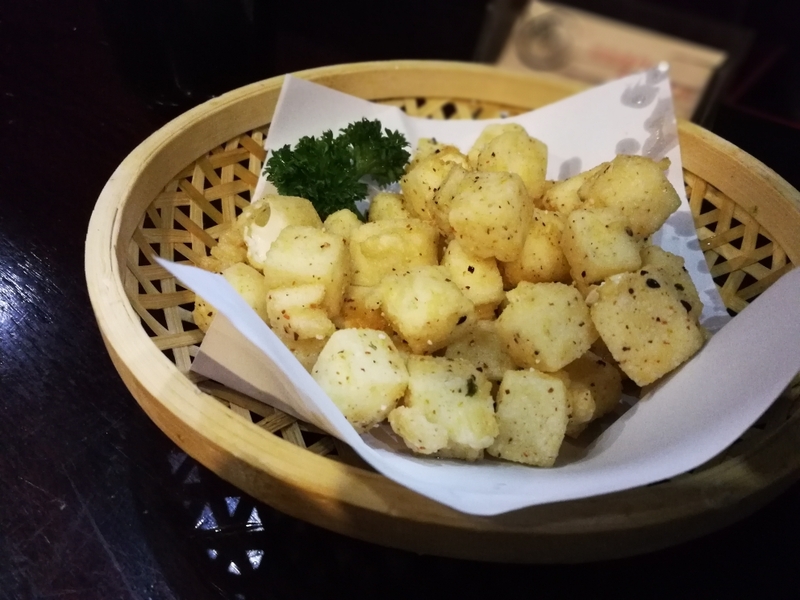 I was quite disappointed when it turned out to be a basket of fried tofu, BUT it wasn’t just any fried tofu. The outer layer was well spiced and perfectly, as expected. What I wasn’t expecting was the soft, creamy, cheeselike texture of the tofu itself. 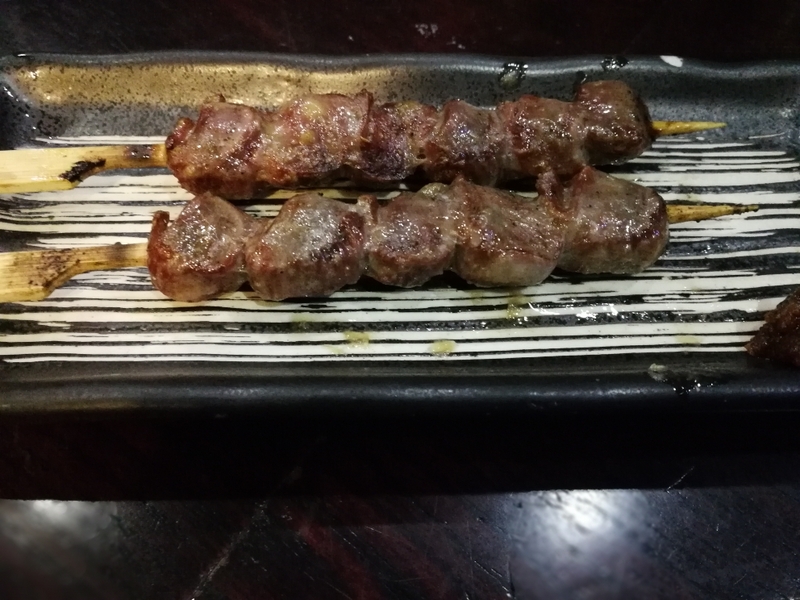 I’d suggest ordering this dish, but keep in mind, filling up on a fried appetizer isn’t the best strategy with delicious Yakitori on the way. Aside from the newer items, I HAD to order some “old favorites”: Liver, Salmon cheek, Chicken Skin, Chicken Cartilidge, Shitake Mushrooms and Onions. I must say, they didn’t disappoint at all. Actually the mushrooms were actually juicier and more flavorful than last time and the skin was crispier. Honestly, I never knew this place could get better. 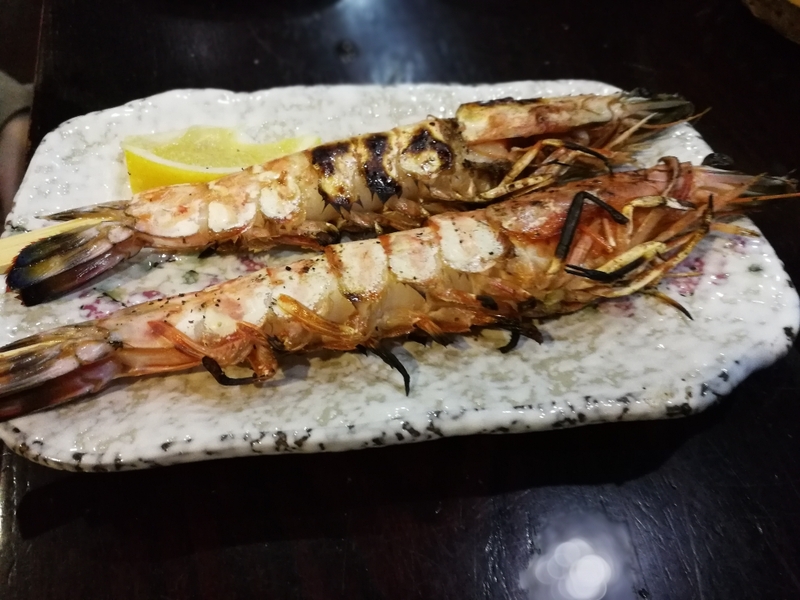 However, one dish did disappoint: grilled prawns. The prawns were of superb quality and had really really good roe, but they were slightly overcooked. We arrived a little past 6, just as the restaurant was opening, so it was definitely a lot quieter than the last time I went. Although I missed the lively atmosphere, this turned out to be a good thing for two reasons: 1) less orders = faster service ( the first dish came out within 15min) 2) Amy and I could hear each other when we talked. Service was just as good. Our waitress actually remembered me from last time and was especially attentive. This second trip was just as good, if not better than the first. I still believe this is a mandatory stop in Shanghai, especially with good friends around. Now I’m curious to try the other Japanese places around it to see if they match. That’s it for this week. Merry Christmas to all!!!!!!! !